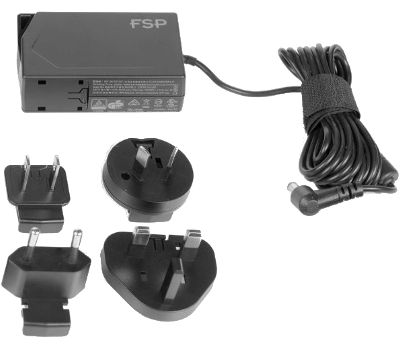 The gallery shows the two types of power supplies tested for this unit. 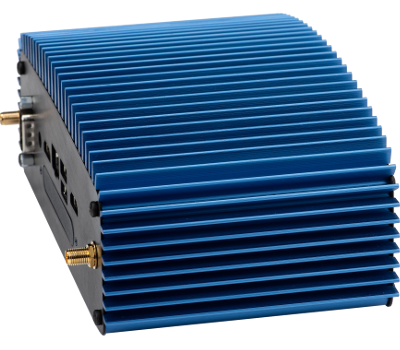 This unit will ship with either power supply, dependent upon availability. 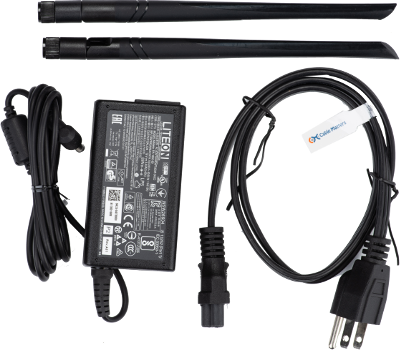 This unit can be configured with an additional 2.5″ storage device. 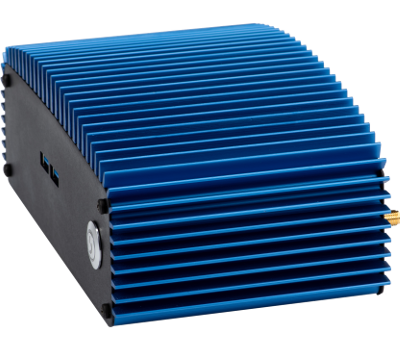 Purchase of a 2.5″ drive includes the 2.5″ SATA Drive Mount Kit for this unit, but you are welcome to purchase the kit pre-installed without a drive. 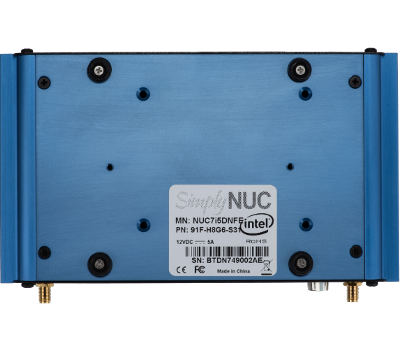 Get the most storage out of your NUC by adding a second storage device to your order. 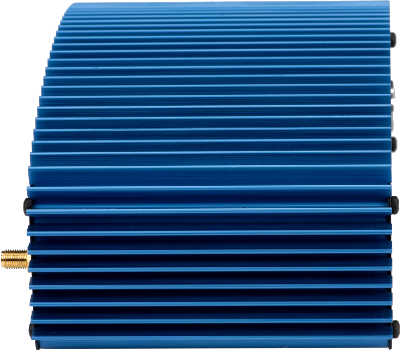 This unit can have an I/O extension installed in place of the plate on the rear of the unit. This is a great if you need more I/O ports on your unit and do not want to connect external hubs and adapters. 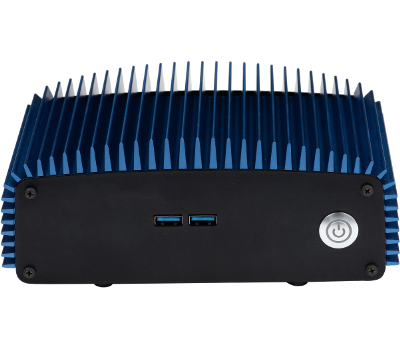 The NUC7i7DNFE, built with 8th generation Intel® Core™ i7 vPro™ processors and fanless “Porcoolpine” chassis, delivers the performance and innovation for small space and embedded solutions without the use of a blower or fan. 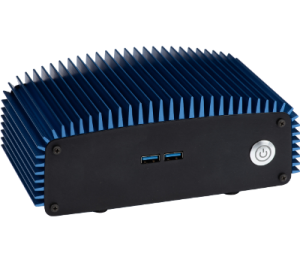 Whether you’re creating a digital kiosk, deploying intelligent vending, or refreshing enterprise PCs, the NUC7i7DNFE can get the job done easily. 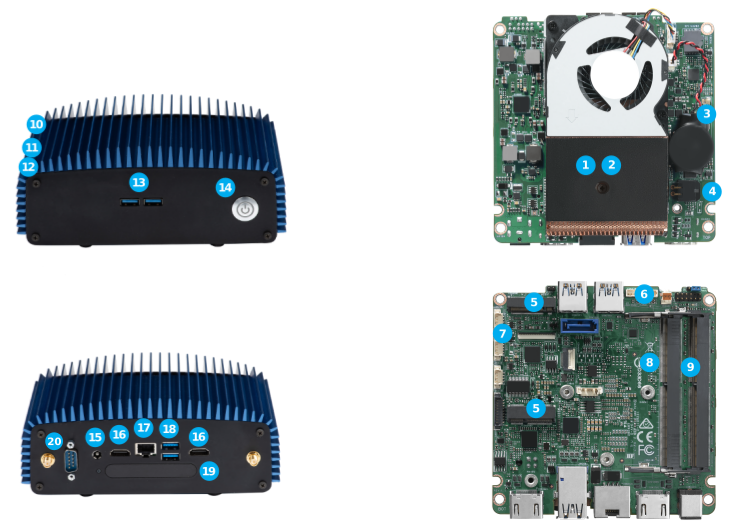 With the option of Intel® Wireless-AC and BlueTooth 4 and the option to run Windows® 10, Linux or another OS, the NUC7i3DNFE delivers the flexibility to build the exact solution your situation needs. 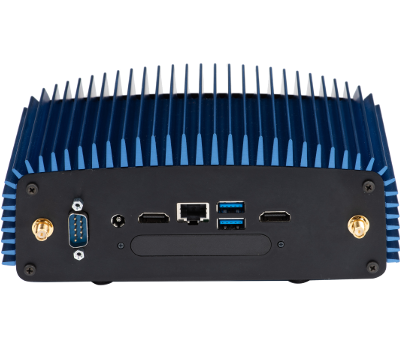 The NUC7i7DNFE has some new features including, for the first time, two full-sized HDMI 2.0a ports to power brilliant 4K displays at 60 Hz. Suddenly your digital kiosks and intelligent vending machines have images that really pop and draw people in. 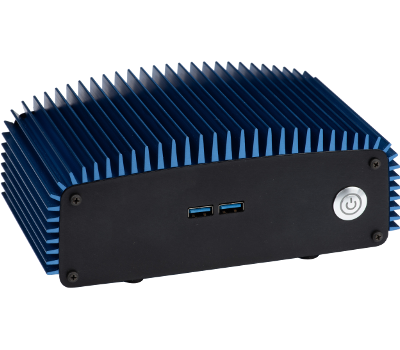 Equipped with USB 3.0 on the internal header, our fanless chassis allows for additional expansion IO if more USBs, Ethernet or Serial ports are needed. We can configure to your specific needs. With Intel® vPro™ technology you can get ahead of security threats. The built-in hardware-enhanced security means you can keep data and credentials secure, and remote manageability is perfect for installations such as unattended digital kiosks and intelligent vending. 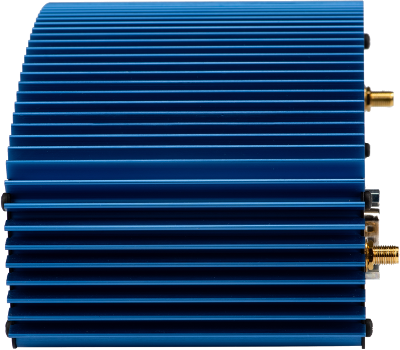 This hardware offers Intel® Trusted Platform Module (TPM) which addresses the growing concern over boot process integrity and offers better data protection. In addition, Intel® Remote Secure Erase lets you wipe an Intel SSD on a lost or stolen system or wipe all data and encryption keys for enterprise clients, making any data that was on the drive, virtually impossible to retrieve.